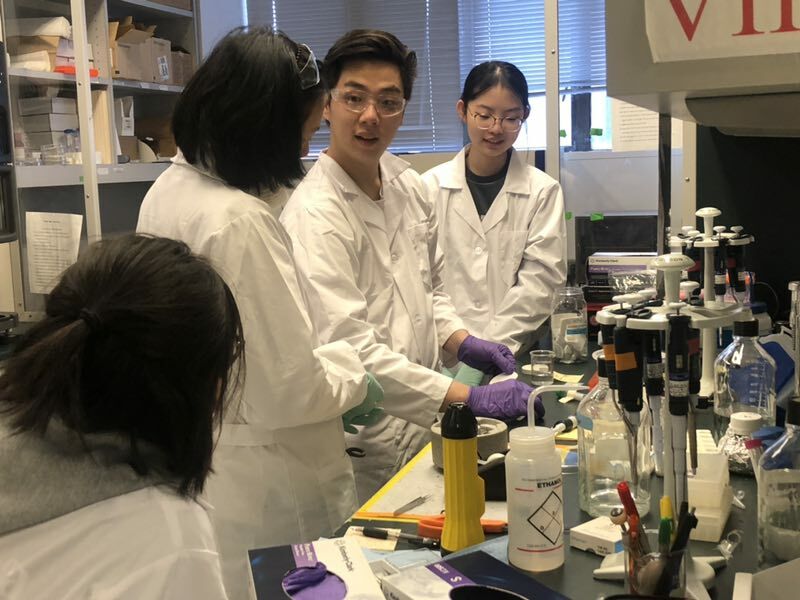 Earlier this year, HNMCS student Lily Li ‘20 took part in a study trip to Columbia University in New York City to learn about electron microscopy and biology. 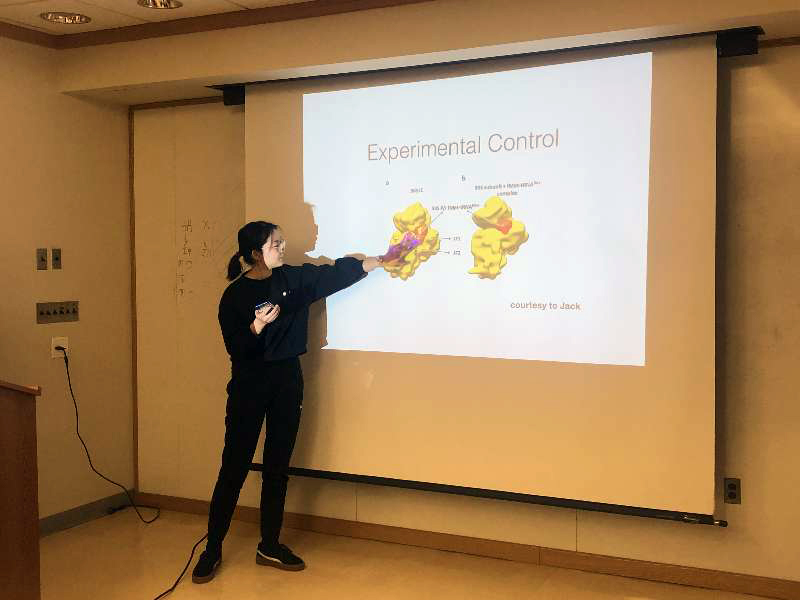 Lily, along with a group of 15 university and high school students who came from as far away as Australia and Korea, participated in lectures and experiments delivered by faculty and technicians from Columbia’s Nano Initiative Consortium at the Department of Materials Science and Engineering (which houses the Electron Microscopy Labs) and the Department of Biology. The purpose of the program was to expose the students to university level knowledge and applications and thereby increase their interest in the field of biology. Even though she was among the youngest in the group, Lily earned the top scores and won the first award in the program. Congratulations Lily on your extraordinary accomplishment. Canadian Intermediate Mathematics Contest : Yitong (Ella) Bai, Ruibing (Ruby) Zhang, Jiaxin (Destiny) Sun and Lian (Julia) Zhuo. Canadian Senior Mathematics Contest: Hong (Eloise) Li, Ran (Nancy) Liu, Yixin Zhang, Jieni Luo, Yixing (Grace) Zhang, Shiman (Arya) Zhang. Pascal (grade 9): Beatrice Carcao, Jenny Ou Yang, Dream Tuitt-Barnes, Carmela Fantilli. Cayley (grade 10): Yitong (Ella) Bai, Ruibing (Ruby) Zhang, Huixi (Cici) Zhang, Lian (Julia) Zhuo, Christina Schleifer, Daniela Gomez Quinones, Katja Steinbock. Fermat (grade 11): Ran (Nancy) Liu, Hong (Eloise) Li, Yixin Zhang, Mallory Bond. 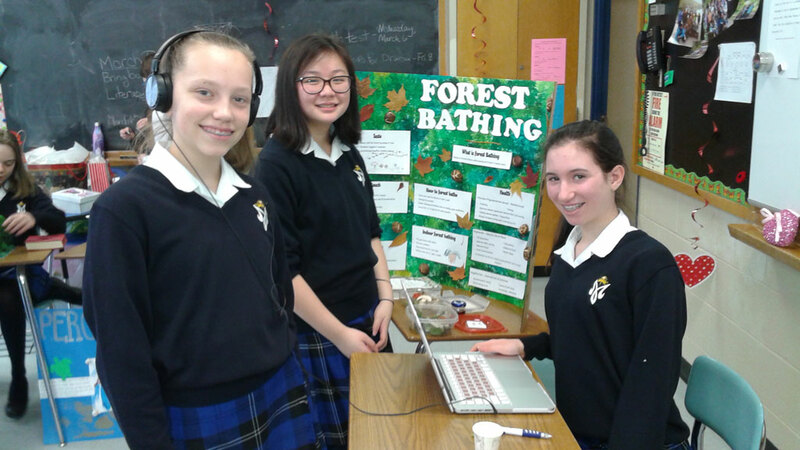 The annual Middle School Literacy Fair was held on Tuesday, March 5. 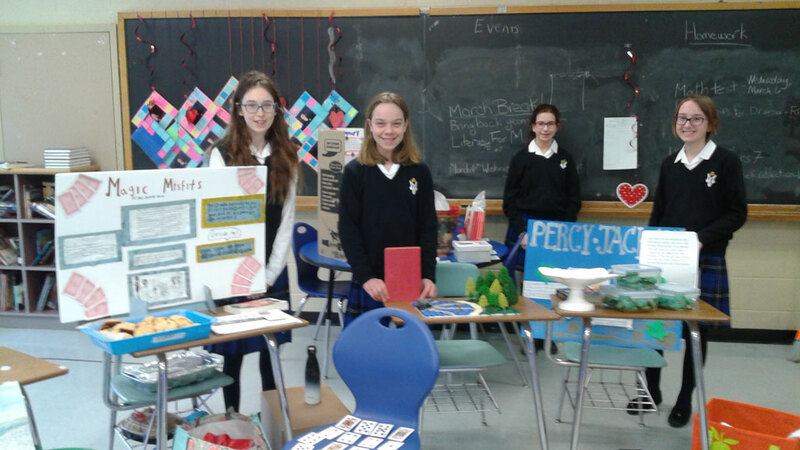 The girls showcased some of their favourite novels by creating electronic and paper displays, trivia games, and by telling stories. A special thank you to Gwen Billowits ’23 and Sonya Yacynowych ’23 for organizing our morning. We especially enjoyed their addition of a “Kahoot of Literature” competition for House points! The Polar Expressions Publishing contest is a student-based contest accepting entries from thousands of aspiring young writers, from kindergarten to grade 12. 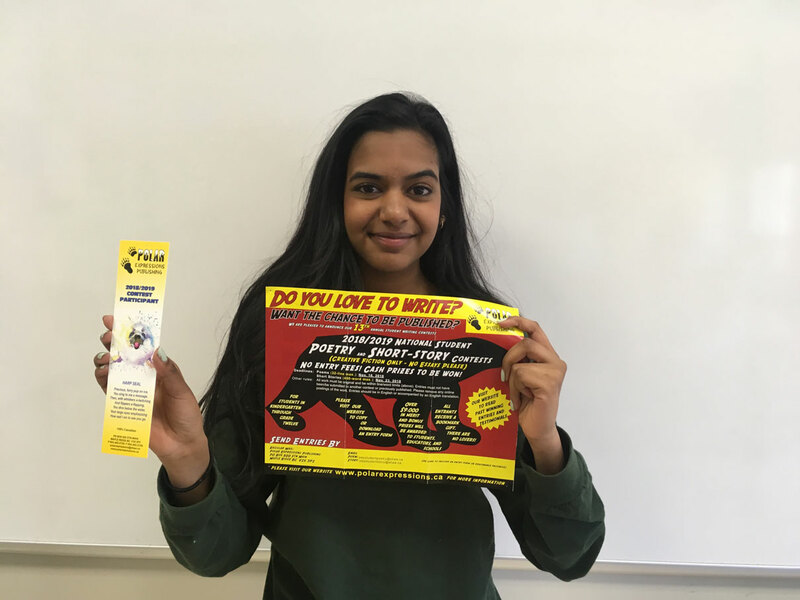 Ashley Pathmanathan ‘21 submitted a 32-line poem, which she produced as part of the HNMCS English poetry slam grade 9 in-class activity. The contest awards creativity, originality, spirit and language. Ashley was awarded a commemorative bookmark and letter of recognition from the Polar Expressions Publishing group for her “Eggs” poem, which outlined the life cycle of an egg. This Dr. Seuss-style poem made it past the first round of judging with the possibility of publication in the 13th annual student anthology by Polar Expressions. Well done, Ashley.